Moshen Mohammadvali from Apranik Academy located in Bangkok is hosting a Rhino and Matrix Jewelry Design Course in Iran and Thailand. In this comprehensive 3-day class you'll learn to create and edit accurate free-form 3-D NURBS models. This fast-moving class covers most of Rhino's functionality, including the most advanced surfacing commands. 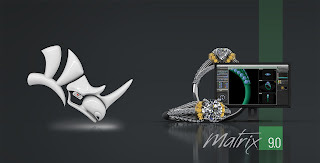 The course explores advanced techniques in modeling to help participants better understand how to apply Rhino’s modeling tools in practical situations. Increase your skill set by learning advanced uses of Matrix and Rhino tools covered in primary class including Gem tools, Bezel Builder and V-Ray Rendering.